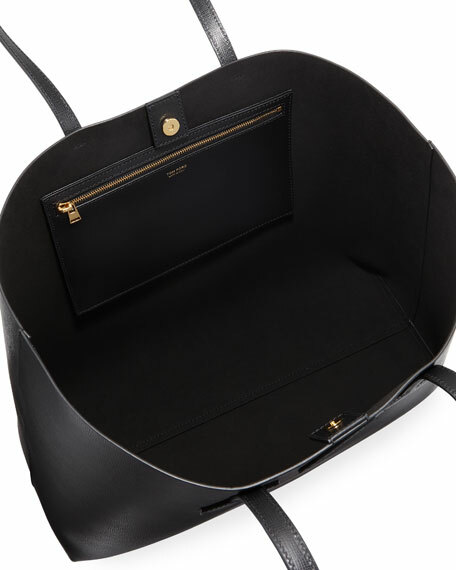 TOM FORD saffiano calf leather tote bag. Padded T-shaped shoulder straps, 9.5" drop. 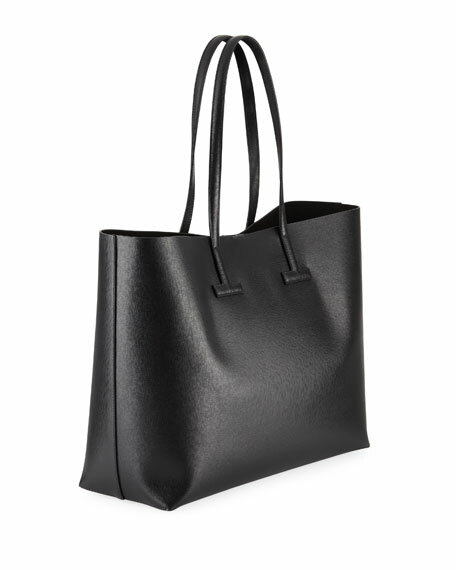 12.6"H x 15.4"W x 6.3"D.
AllSaints "Captain" tote bag in cowhide leather with shiny silvertone grommet hardware. Detachable crossbody strap; 17.5" drop. Flat top handles. 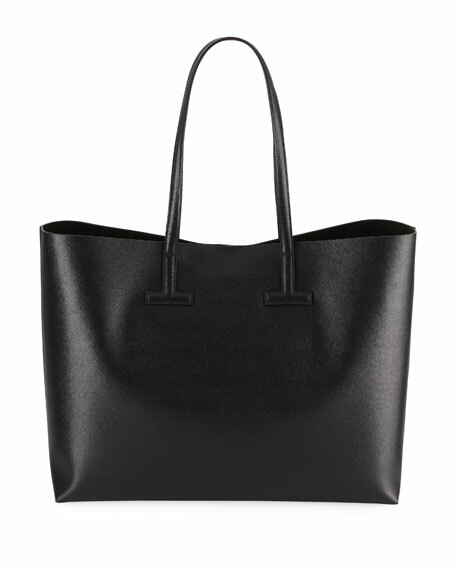 AllSaints "Captain" tote bag in cowhide leather with shiny silvertone grommet hardware. Detachable crossbody strap; 17.5" drop. Flat top handles. Secure zip top. Interior, leather slip pocket. 11.4"H x 14.8"W x 5.5"D. Fits A4 size documents. Imported. Fendi top-handle bag in calf leather with FF coated canvas trim. Flat top handle anchored by rings. Removable, adjustable shoulder strap. Framed top with double-sided turn-lock closures. Button-tabs at sides secure bag. Multi-pocket interior. 9.8"H x 11.8"W x 5.9"D. "Peekaboo" is made in Italy.